Willian: Celebrates with Ramires, Drogba and Azpilicueta after opening the scoring. Three second-half goals saw Chelsea beat Watford 3-0 and reach the FA Cup fourth round for the 17th season running. Substitute Willian opened the scoring on 58 minutes with a superb strike into the top corner from distance before Loic Remy, making a rare start, doubled their lead 12 minutes later. Young defender Kurt Zouma headed home Chelsea's third from Cesar Azpilicueta's cross two minutes later to make sure of the Blues' place in Monday night's draw for the next round. Jose Mourinho's side, complete with eight changes from the side that lost 5-3 at Tottenham on New Year's Day, were lacklustre in the first half and missed a number of great opportunities. 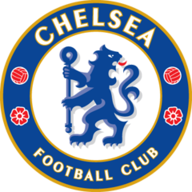 Defender Gary Cahill should have taken to lead for Chelsea when he was put clean through with Hornets' keeper Jonathan Bond but flicked the ball over the bar. Remy and Andre Schurrle, who was sacrificed at half-time along with Oscar, both missed with shots in acres of space inside the box. At the other end, Petr Cech, making only his eighth start of the campaign, was called upon to save from lively striker Troy Deeney and midfielder Daniel Tozser. Drogba arguably had the best chance of the first half when he headed a Remy cross saved by Bond, while Cahill glanced a header wide of the far post. Chelsea needed the injection of energy from half-time replacements Diego Costa and Willian, who found the top corner after Remy's neat lay-off. 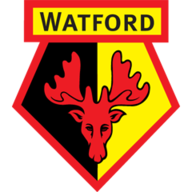 Watford were defiant and Felipe Luis almost turned a Deeney effort into his own net that Cech had to kick away from the target, before Deeney made Cech save again. But after Remy volleyed home from inside the box, Chelsea's safe passage to the next round was never in doubt and 20-year-old Zouma was able to bag his second goal for the club on 72 minutes.